The Renewal by Andersen® Window & Door Visualizer allows you to create an image of your own home with brand new replacement windows and patio doors in place! 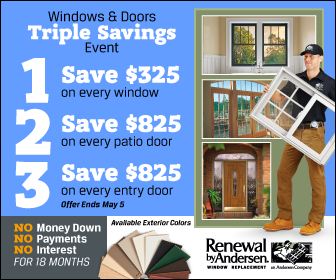 Can you see yourself installing beautiful, energy efficient, new replacement windows and doors from Renewal by Andersen®? Make the smart choice for your home in Austin, Dallas-Fort Worth, Oklahoma City, Tulsa, or Atlanta with Renewal by Andersen® replacement windows and doors. Contact us today for the best pricing on the best window.